Okay, so my teenage years ship sailed a long time ago, but somehow I’ve reached the age of 34 without ever learning to drive. For years, it didn’t seem important – but recently, I’ve realised that I’m losing a lot by not getting my L plates. I can’t do road trips across California, I can’t do favours for friends with kids, and I would be completely useless during an alien apocalypse. Excerpts from Anna Hart from Grazia magazine when she bites the bullet and books her very first driving lessons. And doesn’t kill anyone! And not only is it statistically more difficult, learning to drive terrified me. So Grazia set me the challenge of passing my test in 2015, because if I can do it, then trust me, anyone can…. So far, I’m three lessons in, with my nerves-of-steel instructor Mario. Amazingly, I genuinely enjoy my first few lessons. I’ve done a roundabout! I’ve been in fourth gear! I’ve done a really terrible turn-in-the-road! Not bad, for a girl who still has to do that miming-writing-with-a-pen thing to determine my left from my right. “At this stage, your learning curve is quite steep,” agrees Mario, warning me that the real challenge comes later. Being a terrible learner driver is easy – I feel triumphant simply because I haven’t crashed into a schoolbus. It’s becoming a good learner driver that is hard. I promise to be 100% honest about the ups and downs. If you, like me, were on the fence about learning to drive, then hopefully this will give you the incentive you need to get in the driver’s seat. Prevously, Grazia writer Anna Hart wrote about the challenges of learning to drive when you’re 30, blogging about it here. WATCH OUT WORLD: I’m officially a driver. Today I had a sunny drive around Wanstead with a nice man called Kevin, only stalling twice and swearing once, and at the end of it he said the magic words: “Well done, Anna, I’m going to pass you today.” Nothing prepares you for the flood of joy that comes from passing your driving test. Particularly if, like me, you’ve postponed learning to drive for years, making excuses, developing weird phobias, and convincing yourself a skill that any 17-year-old boy appears to master in six weeks will remain tantalisingly out of your grasp forever. Now I finally know how to pass your driving test, and I also know how not to, because two weeks ago, I flunked my first driving test. Failing your driving test is not a pretty feeling. It’s pretty much the worst Tinder date of your life. The examiner feels sorry for you, they wish you well, but they can’t wait to get away from you and they’re stuck right next to you. You feel guilty and apologetic but also crazily desperate to prove to them that you’re not a total loser after all. Failing your driving test is one of the worst ways to spend 40 minutes I’ve ever come across. But now that I’ve passed, I can see exactly how I nailed failing the first time around. 1. Expect to fail. I told myself that I was bound to fail, that all the best drivers fail first anyway, that I shouldn’t really expect to pass. Then, things went surprisingly well, but I’d already worked myself into such a pitch of nerves and doom that I made a dumb error (okay, I nearly squashed a pedestrian on a crossing) and flunked on that one serious error. 2. Rush it. Because my attitude was ‘let’s get this fail over with asap’, I did everything far too quickly. And got rattled. And then tried to squash a pedestrian. Be cool! 3. Be tough on yourself. Pre-test, my inner mantra was ‘Oh FFS, you have to go flunk your test today, UGH’. Afterwards, it was, ‘You knew you were going to fail, and you FAILED, you massive, massive loser.’ Obviously, I would not let anyone other than me talk to myself this harshly. And guess what: it really doesn’t help. 4. Give up. Halfway through, I stalled. And then tried to move off with the handbrake on. And I convinced myself I’d failed, and got so despondent and stressed that I made the serious error that actually caused me to fail. The world is Anna’s oyster now she’s got her driving license. This time around, I did everything right. I took three 2-hour lessons with my instructor this week in preparation. I did yoga every day this week. I skipped coffee and drank heaps of water and ate well before my test, instead of dehydrating myself massively because I was so worried I’d need to pee halfway through. I wore clothes that made me feel good, having planned a preppy ‘I am such a good driver!’ outfit earlier this week. I even wore my hair in pigtails, because that helps the examiner see that you’re checking the mirrors. But the most important thing I changed? How I talked to myself. “What a lovely day to pass my test! I can’t wait to pass my driving test today! Golly, passing my test is going to be SUCH FUN, that lucky instructor next to me!” I know, I know. But you don’t need to be a positive-thinking automaton for your entire life. Just the morning of your driving test. And when you pass, all of this, and all of the lessons, are totally worth it. I excitedly told my mum, my husband, and a even a couple of London Underground staff who got in my way. I suddenly realised that I had no plans for the evening, because I couldn’t quite imagine a time after my test ever arriving; it was like a big wall in my diary had finally come down and I could look into the future. A future in which I can rent a Mustang and drive the Pacific Coast Highway. Or pop over to a friend’s house in West London without spending four hours on public transport or £60 on Uber. Or be a useful daughter, picking up my parents from the airport instead of having to rely on them all the time like a teenager. A future in which I get to one day shop for a CAR, which is even more exciting than shopping for a new coat. 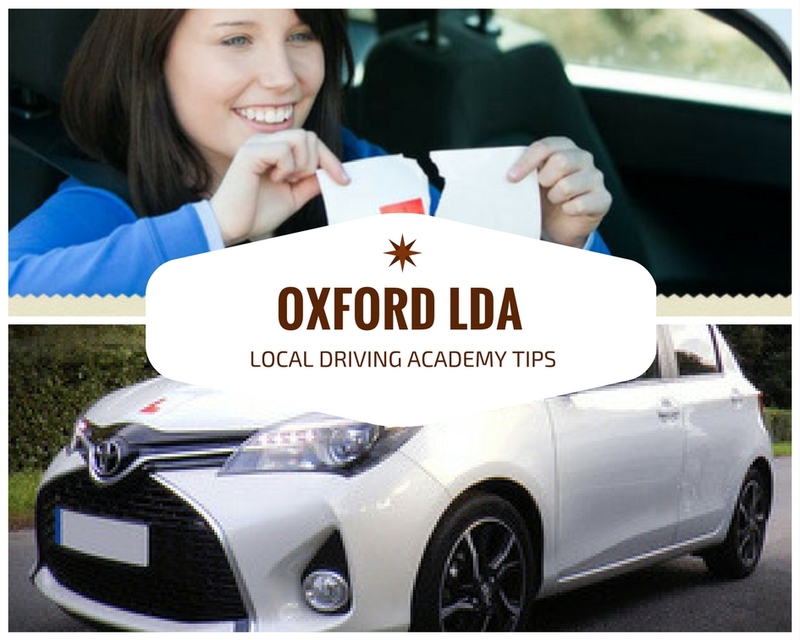 Call now on 01865 722 148 or send a message via the Contact Form online and schedule in your driving lessons today!